These towels are awesome! They start out the size of a dime and with a little water they open up to 12" x 6" towel. It's like magic! It is a really great idea if you have limited space... why? I have no idea... I'm just a shipping guy! See our great Compressed Towels HERE! Just added, a new sterilizer option! I am loving the look of this unit. For a great price, you can upgrade your unit! Perfect for medical spas, waxing studios, salons, spas, lash bars, nail salons, doctor's offices, and more! 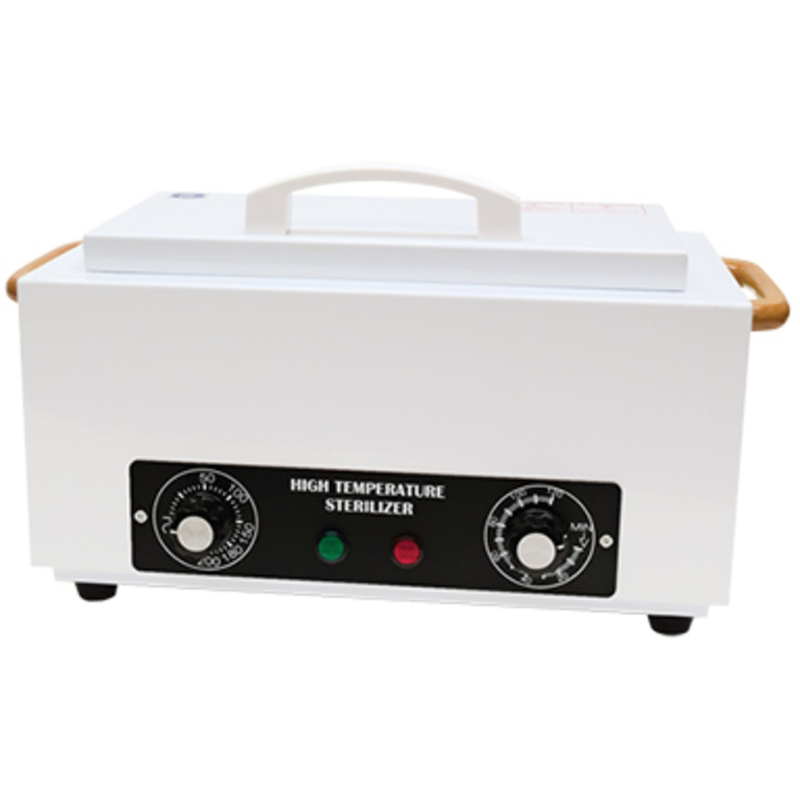 High temperature, dry heat sterilizer kills bacteria and viruses on metal implements and tools. Features a high quality, stainless steel construction, power indicator lights, adjustable heat control knob up to 392°F, and a timer control knob from 0 to 120 minutes. 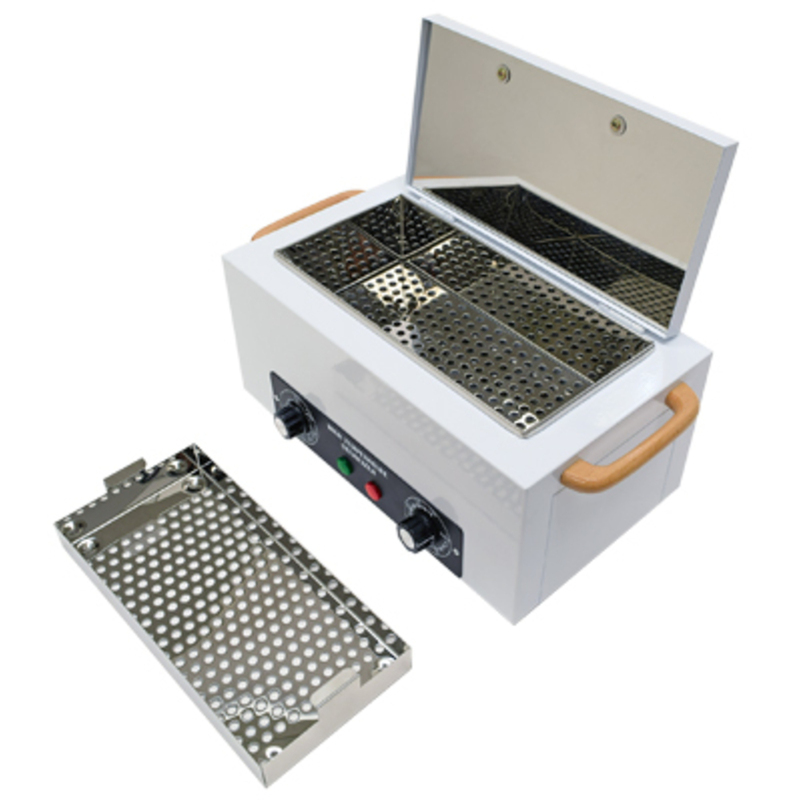 Includes a removable stainless steel tray, 2 safety rings for hot tray removal, and a 4-1/2 ft. power cord. The unit measures 6"H x 12"W x 7"D.
Want to see more options for sterilizers? Click here! Why get 100 when you could get 500! I see you all thought this way last week - we sold a ton of the Fantasea Large Waxing Applicators 500 pack. I remember building stick houses with these when I was a child! It's finally come full circle as the application for these applicators are super versatile... why? I have no idea... I'm just a shipping guy! See our great Fantasea Large Waxing Applicators / Box of 500 HERE! If you're looking for a really big Epilating Roll then you've found it! These rolls are so big you can keep them in your trunk in case you get a flat tire! They were a huge hit last week... why? I have no idea... I'm just a shipping guy! See our great Non-Woven Epilating Roll by Fantasea HERE! I guess people still wax in the winter. Who knew..? These non-woven body strips by Fantasea were a lot hotter than the weather here in New York lately. Going out by the pallet load! The shipping guys love how perfect they fit in the boxes... why? I have no idea... I'm just a shipping guy! See our great Fantasea Body Strips HERE! A Neat Pedicure Work Area is a Happy Place! Nothing can turn off pedi clients more than a sloppy treatment area. It is unprofessional and can be the death of your business. One great place to start cleaning up your act is with your scrubs, salts, cooling gels and masks. Instead of having a mish mash of giant drippy unmatched brands and containers, when not set-up each treatment area with a smaller portion in neat matched containers? FantaSea has come out with empty 16 oz. jars that are ideal for executing this "neat" plan! Perfect for storing and organizing scented pedicure scrubs. Features checkboxes for the following fragrance options: Lavender, Tropical, Chocolate, Green Tea, Rose, Mint, Cucumber, and Milk & Honey. Pedicure scrub not included. Sold by the case only. Perfect for storing and organizing scented spa salts. Features checkboxes for the following fragrance options: Lavender, Tropical, Chocolate, Rose, Green Tea, and Mint. Spa salts not included. Sold by the case only. Perfect for storing and organizing scented sugar scrubs. Features checkboxes for the following fragrance options: Spearmint, Lavender, Milk & Honey, Rose, and Mandarin. Sugar scrub not included. Sold by the case only. Perfect for storing cooling gel at a pedicure station. Cooling gel not included. Sold by the case only. Perfect for storing and organizing scented masks and treatments. Features checkboxes for the following fragrance options: Lavender, Tropical, Chocolate, Green Tea, Rose, Mint, Cucumber, and Milk & Honey. Treatments not included. Sold by the case only. I might as well keep the wax theme going one more week! These Large Non-Woven Body Strips by Fantasea were the talk of the town this past week. We must have shipped hundreds of these. Summer is not over yet people... why? I have no idea... I'm just a shipping guy! See our great Fantasea Body Strips HERE! Mine is the Jets winning the Super Bowl before I die! But of course I'm actually talking about Esthetic Wipes by Fantasea. 2x2's and 4x4's were a hot sellers this week. The guys love packing them because they like the way the fit in the shipping boxes... why? I have no idea... I'm just a shipping guy! See our great Fantasea Wipe selection HERE! Hurricane Sandy hit us hard this week, however, Pure Spa Direct endures. Popular this shortened week were the Large Non-Woven Body Strips by Fantasea. Nobody likes unwanted hair so get yours today... why? I have no idea... I'm just a shipping guy! See our great Fantasea Non-Woven Body Strips selection HERE! Wax Time is Fun Time... when you have the right Waxing Applicator! Get your waxing applicators HERE! Fantasea Waxing Applicators that is! I could build a fire with all the wood that has been leaving the warehouse this past week! I don't know what makes these applicators so popular... Perhaps its the price that draws the customers, or maybe that they come in different sizes and quantities... why? I have no idea... I'm just a shipping guy! See our great Fantasea Applicator selection HERE!